Need the easiest potato side dish ever? 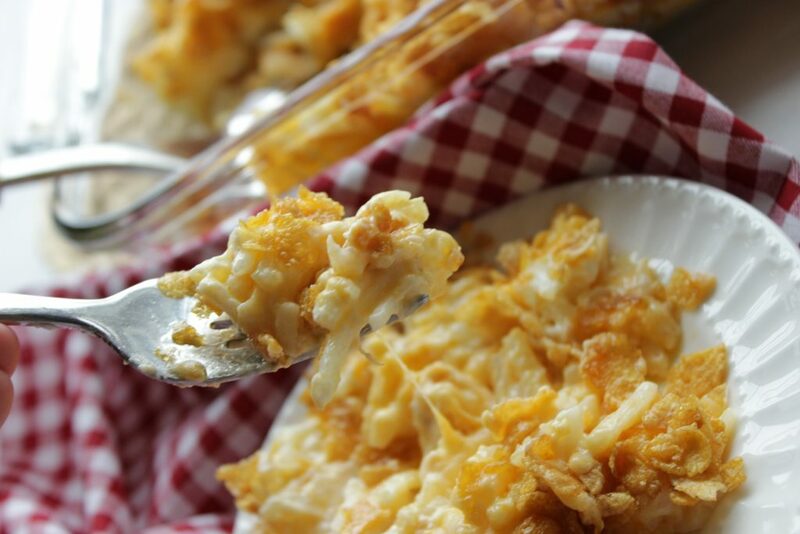 These Baked Cheesy Potatoes (some even call them Funeral Potatoes – gasp! ) are truly the best. Give them a shot and let me know if you tried them on Pinterest! My family loves a good hearty meal. Don’t get me wrong, quesadillas and taco night are a regular happening as well, but nothing beats a good meat and potatoes kind of dinner, am I right? And, I’m proud to say that I’ve become a bit of a connoisseur when it comes to sides made with potatoes. 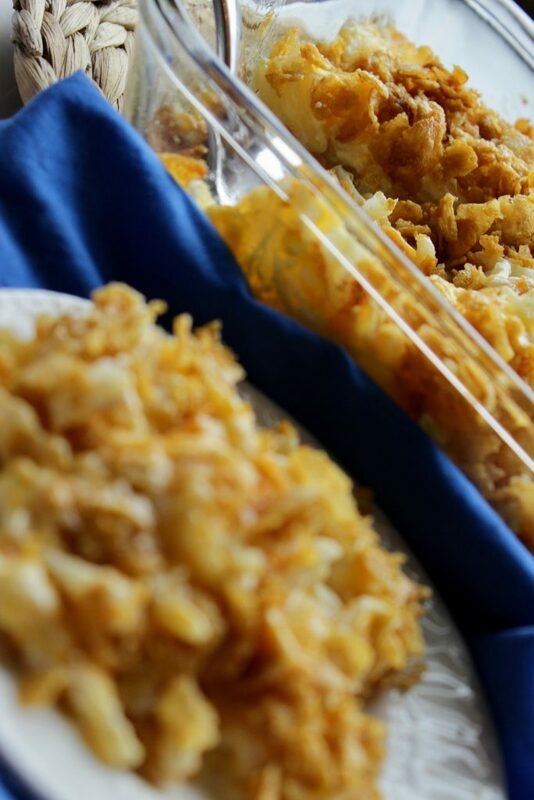 Baked cheesy potatoes are kind of my thing. I’ve mastered them to the tee. 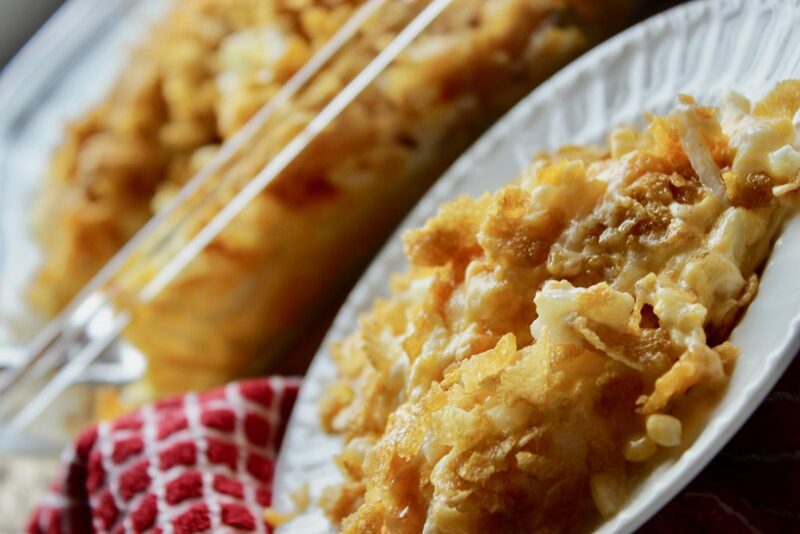 I have made cheesy potatoes in the crock pot, I have mastered the cheesy potatoes baked side dish, but I have never posted the real Funeral Potatoes that we make. OK, so let’s back this train up a second, I just dropped the word “funeral” in a baked cheesy potatoes recipe – how odd is that? 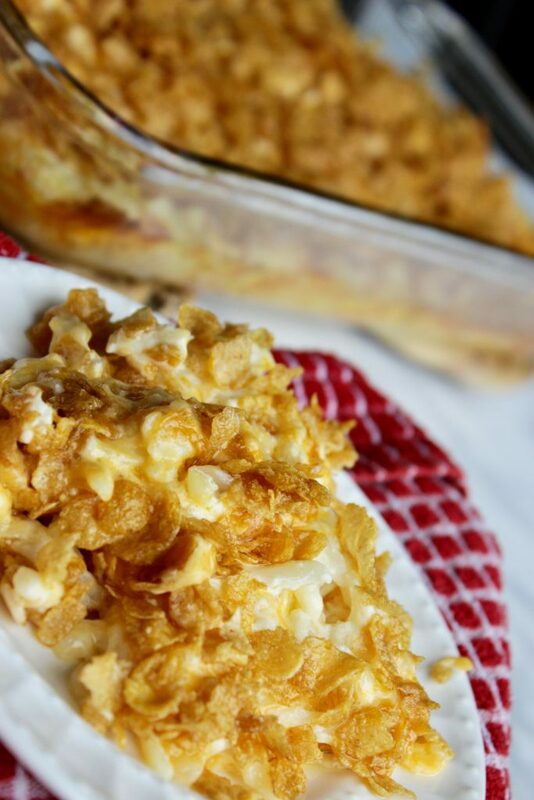 I have heard that the reason these are called funeral potatoes is that for years and years, ladies would bring these (delicious!) potatoes to the luncheon after a funeral. That’s actually believe it or not where I had them for the first time. These are one of the very best sides for ham and they’re ALWAYS on the list of Easter dinner side dishes at my home. And, they’re insanely easy to make too! Once you’ve gathered all of your ingredients, you’ll simply mix them in a bowl all together, lay that mix in a 9×13 baking dish (This is BY FAR my favorite!) 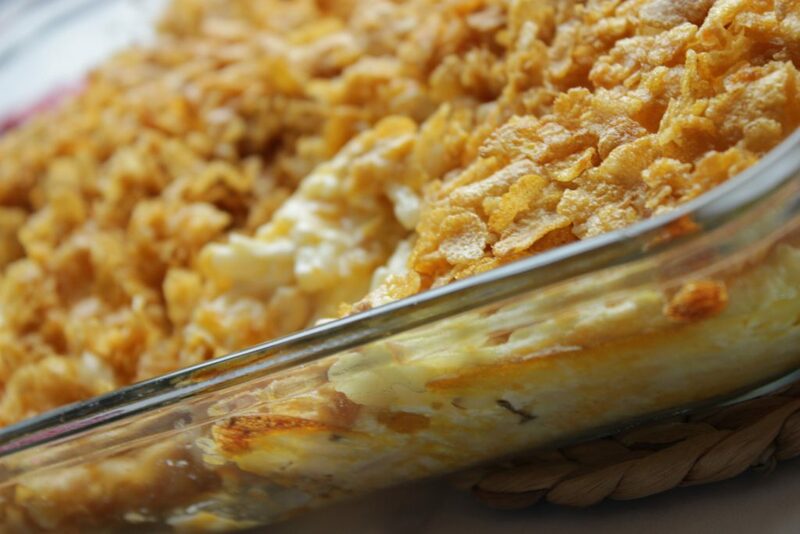 and top with the corn flake and butter mixture. Pop that puppy in the oven and you are OFF to the races – seriously delicious and not much work at all. 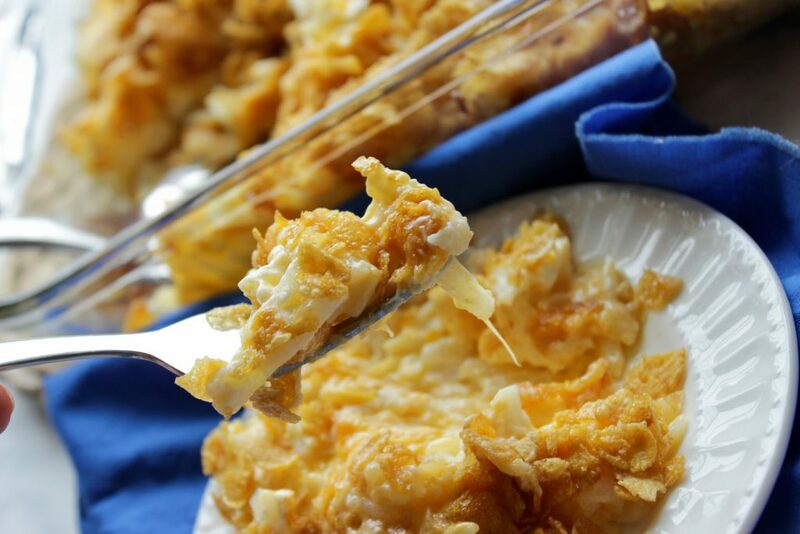 You could also easily have this as a make ahead potato side dish as well. If it were me, I’d combine all of the ingredients minus the corn flakes and butter, put a lid on it, and put it in the fridge. 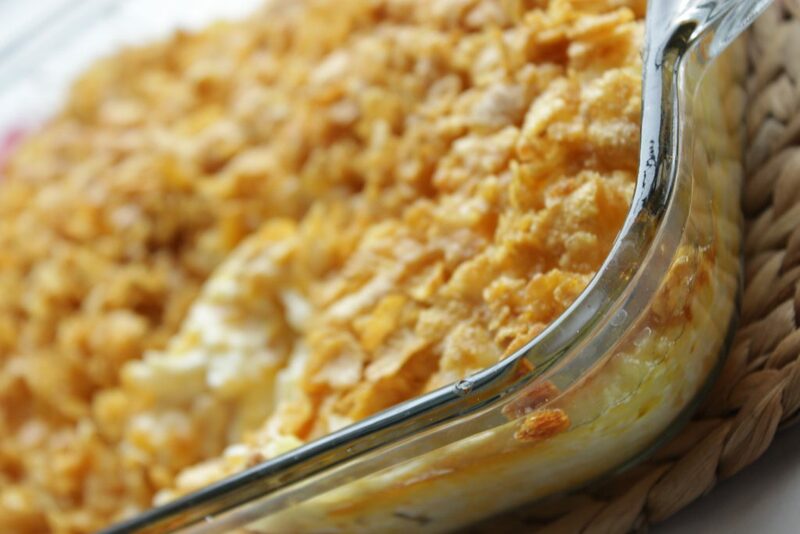 Once you’re ready to make the dish, top with the corn flake and butter mixture and put it in the oven. Although, you’d want to add some cooking time depending on how long you let them rest outside the fridge for. 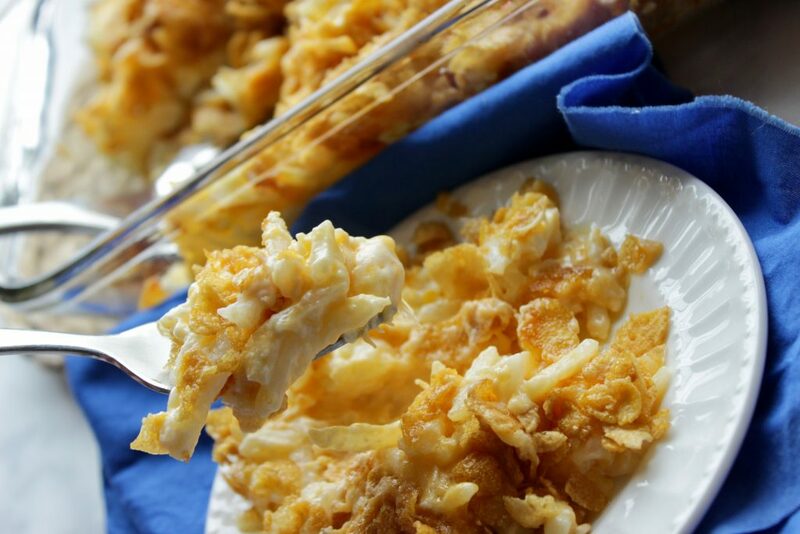 Funeral Potatoes are my go to side dish to go with any meat. You can serve these cheesy and creamy potatoes with ham, with turkey, even with cold cut sandwiches. You really can't go wrong with these. Add in salt and onion powder and cheese, and continue to mix well. Sprinkle on butter covered crushed corn flakes. Bake uncovered at 350 for 45-50 minutes. I forgot to buy corn flakes but will find something else to replace them on top. Love these!! I used Ritz crackers… tasted yummy!